As a member of Drive Electric and a longtime supporter of electric and hybrid vehicles, Westpac has begun including EVs into their fleet – and promoting their use to its business customers. 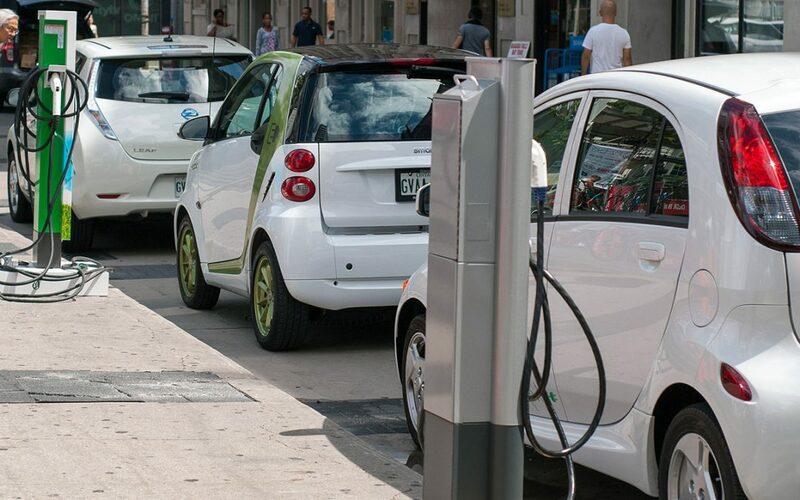 When Westpac weighed up the financial, brand and environmental benefits of introducing EVs into its pool car fleet it just made good business sense. General Manager Commercial, Corporate and Institutional, Karen Silk says moving to EVs fits Westpac’s environmental focus. “As a sustainable company, we want to reduce our own emissions and we can also encourage our customers to reduce emissions by providing financial solutions to help their transition to EVs”. Karen also points out that there is a crucial role that large businesses in New Zealand can play to help create a secondary market for consumers at a lower entry cost. Westpac’s head of Asset Finance Gary Nalder sits on the board of Drive Electric and was recently appointed as a member of the Government’s Electric Vehicles Programme Leadership Group. Gary says Westpac can play an important role in influencing other large businesses in New Zealand to take the first step to transition EVs into their fleets. “We want to share our insights and experiences to help our customers to consider a transition to EVs,” he says. How did Westpac achieve staff buy in? Staff buy began with Westpac’s executive team, who trialed the vehicle first. Institutional Bank staff got to try it once it was placed into the company’s pool car fleet. Westpac also ran a survey to gather feedback from each driver about their experience. This was then shared on the company’s intranet and internal social media forum. What has been your staff’s experience of driving EVs? Overall, the feedback has been very positive with most ‘negatives perceptions’ ironed out after the staff became more familiar and comfortable with the vehicles. What has been the public reaction to the EVs being introduced? Public response has also been very good, says Gary. “One of our relationship managers took the newly delivered and branded EV out to see a customer the first day we had it. She was stopped at the traffic lights and the driver of the car next to her gestured for her to wind her window down. The driver gave her a thumbs up and said, “Well done Westpac”. Inspired by Air New Zealand’s fleet transition, Westpac started an EV trial in March 2016. In August 2016 they took delivery of their first three leased EVs – one in Auckland and another in Wellington. The vehicles will be used to visit Westpac customers, which will serve the dual purpose of efficient travel, and promoting EV use. Westpac have committed to acquiring up to seven more EV for their pool car fleet, and are aiming for a broader fleet rollout in the future. Westpac currently have three BMWi3s with range extenders into their fleet. The range extenders mean we can now drive between 250 and 280 km, depending on driving styles and the number of passengers. The company can generally plan trips with the EV’s normal range, so use the range extenders as back up only.